India and China signed a record 24 agreements in key sectors, including in railways and education, on day two of Prime Minister Narendra Modi’s first visit to the communist neighbour .From skill development and railways to smart cities and education exchange programme, the agreements are meant to enhance India’s ties with China. Protocols between India and China on the establishment of consulates-general at Chengdu and Chennai and the extension of the consular district of the consulate general of India in Guanzhou to include Jiangxi province. 2– MoU between the Ministry of skill development and entrepreneurship of India and the ministry of human resources and social security of China on cooperation in the field of vocational education and skill development. 3– Action plan on cooperation in setting up of the Mahatma Gandhi National Institute for Skill Development and Entrepreneurship in Ahmedabad/Gandhinagar in Gujarat. 4– MoU between India and China on consultative mechanism for cooperation in trade negotiations. 5– Agreement between state government of Karnataka and provincial government of Sichuan of China. 6– Agreement between Chennai and Chongqing of China. 7– Agreement between Aurangabad and Dunhuang of China. 8– Agreement between Hyderabad and Qingdao of China. 9– MoU between India’s ministry of earth sciences and the State Oceanic Administration of China on cooperation in the field of ocean science, ocean technology, climate change, polar science and cryosphere. 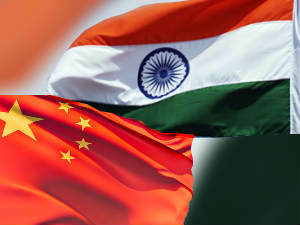 10– MoU between India’s ministry of earth sciences and the China Earthquake Administration concerning cooperation in the field of earthquake science and earthquake engineering. 11– MoU on scientific cooperation between Geological Survey of India, ministry of mines of India and the China Geological Survey, ministry of land and resources of China in geoscience. 12- Space Cooperation Outline (2015-2020). 13– MoU on education exchange programme. 14– Protocol on health and safety regulations on importing Indian rapeseed meal and the general administration of quality supervision, inspection and quarantine. 15– MoU between the Indian Council for Cultural Relations and Fudan University on the establishment of a centre for Gandhian and Indian studies. 16– MoU between Indian Council for Cultural Relations and Yunnan Minzu University on the establishment of a yoga college. 17– Action plan between the National Railway Administration of China and the ministry of railways of India on enhancing cooperation in the railway sector. (2015-16). 18- MoU on cooperation between the ministry of external affairs of India and international department of the central committee of the Communist Party of China. 19- MoU between the ministry of mines of India and the ministry of land and resources of China on the cooperation in the mining and minerals sector. 20- MoU between Doordarshan and China Central Television on cooperation in the field of broadcasting. 21– MoU on establishing India-China think-tanks forum. 22– MoU between India’s Niti Aayog and the Development Research Centre, State Council of China. 23– MoU between the ministry of external affairs of India and ministry of foreign affairs of China on establishment of states/provincial leaders’ forum. 24– Agreement between the ministry of tourism of India and the national tourism administration of China on cooperation in the field of tourism.